We are delighted to announce we are now offering BOTOX courses in Liverpool. In the past cosmetic procedures including BOTOX® have been a bit taboo, but now they are becoming increasingly popular not only in the UK, but worldwide. With Liverpool being such a front running city, it comes as no surprise that there is a high demand for injectable treatments in this area. With such an increase in the popularity of injectable treatments in recent years, there is no doubt that an Aesthetic practice would be a lucrative business for any well trained practitioner in this location. Owning a practice or having a side business practicing injectable therapies offers flexible working conditions, high levels of job satisfaction and a high income. Because the demand for skilled practitioners is higher than ever, there really has never been a better time to become qualified. Due to the risks that are associated with injectable treatments, there are regulations in place around injecting patients in the UK. In order to administer anti-wrinkle injections safely, effectively and with a fantastic reputation it is essential to undergo the best possible training which covers all possible eventualities. If you are looking for a BOTOX® training course in Liverpool, look no further. We are thrilled to announce that MATA are expanding our locations in order to service all the major cities around the UK, and we offer both Foundation and Advanced level BOTOX® courses to suit the varying degrees of knowledge and skills held by prospective delegates. Pre-requisites for either course is an internationally recognised Bachelor’s degree relevant to the medical or healthcare sectors. From there, MATA’s Foundation Level BOTOX® Course and Advanced Level BOTOX® Course equal units towards an internationally recognised UK Level 7 Master’s degree. The Foundation Level BOTOX® Course (or equivalent) must be completed before progressing onto the Advanced Level BOTOX® Course. An understanding of facial anatomy is the starting point for our Foundation Level. This knowledge is then built upon to gain a solid skill-set for treating all areas of the face. A focus is drawn to the importance of patient assessment and delegates are able to gain essential experience via demonstrations and real volunteer patients. Due to the similar theory required, BOTOX® and Dermal Fillers training complement each other perfectly, so most delegates find it beneficial to study both on one of our two-day weekend courses. MATA provides a blended learning approach, meaning you are given a combination of comprehensive clinical knowledge units and practical hands-on training. Delegates have access to MATA’s exclusive Virtual Learning Environment (VLE) where they are able to complete the majority of the theory elements of our courses and qualifications. The VLE is used for self-study aspects and all other aspects are covered in face to face sessions with your trainer as a group. Once a sufficient level of theory has been covered, delegates are able to move on to the practical elements of the course. With no prior experience of injecting the product we know that the thought of a practical session can be quite daunting. Because of this we offer the opportunity to complete the first practical stage using cadaveric dissection on fresh frozen material. After that, delegates are able to progress on to volunteer patients. We understand that hands on experience is the best and quickest way to build your knowledge and confidence, that’s why we provide the opportunity to practice on both. MATA was established with the aim to improve industry legislation and standards. Because of this, our courses have been developed with the support and input from scientists and industry specialists. All of our qualifications are quality assured, recognised and monitored by the relevant regulatory bodies. 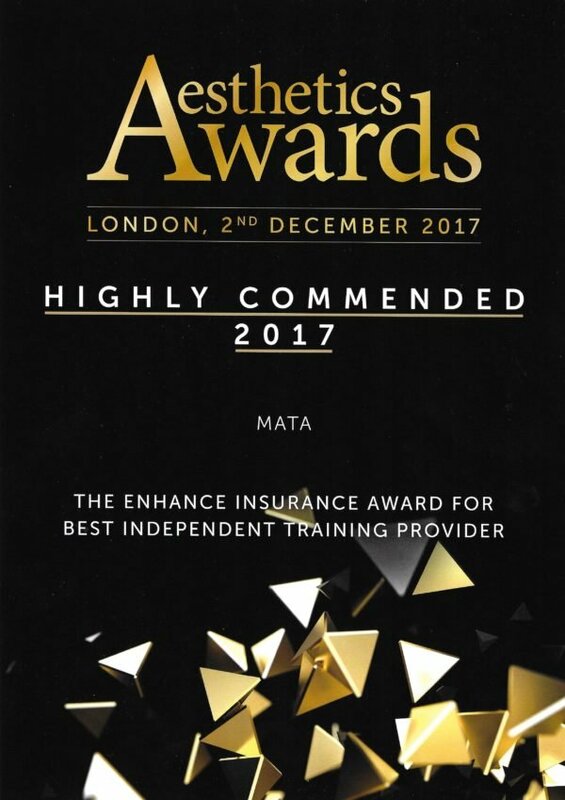 Upon completion of your MATA training you will receive a certificate which is recognised by all of the main insurance bodies. If you think you may be suitable, but your profession is not listed please get in touch to enquire regarding your suitability. 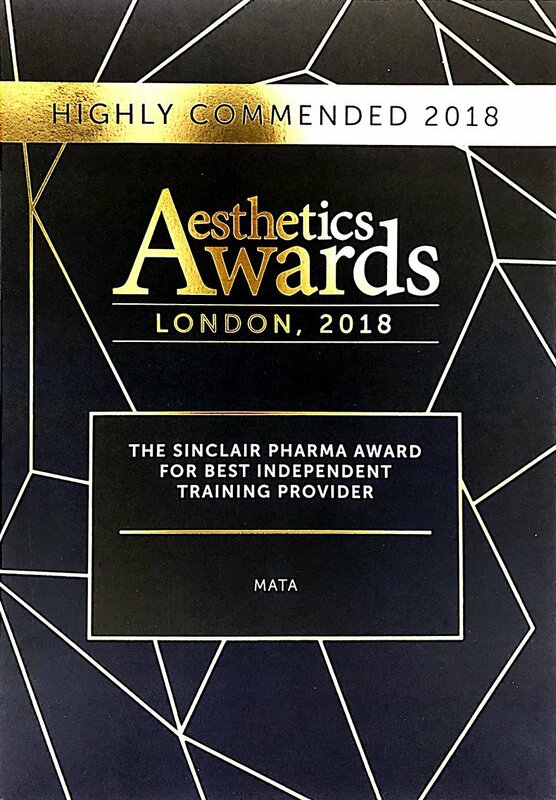 MATA’s BOTOX® Advanced Level is considered the next step for healthcare professionals who have already completed the Foundation Level training either with us or an equivalent qualification. This gives professionals the opportunity to expand their skill set further by learning more advanced treatment areas and techniques. What can I expect from the BOTOX® courses and what is covered in the content of each course? Online theory which is to be studied in your own time via our university-standard learning platform using interactive tests and written resources. Tutorials with demonstrations, group question and answer sessions and hands-on practice, starting with cadaverous materials and later progressing on to live models. Liverpool has a lot to offer as a venue for study, if you live in the area you will already know that, but if Liverpool is your closest MATA location you may want to make the most of your opportunity to visit. The home of The Beatles is packed full of attractions from a Zombie Apocalypse experience in a disused asylum to peaceful art galleries there is a huge variety of things to do and places to visit in this large, Northern, maritime city. Our Liverpool Botox Courses are suitable for Nurses, Doctors, Dentists, Pharmacists and Other Healthcare Professionals.